The combination of dark Maple wood and black accents make this triangular lacquer ashtray a stunning piece. 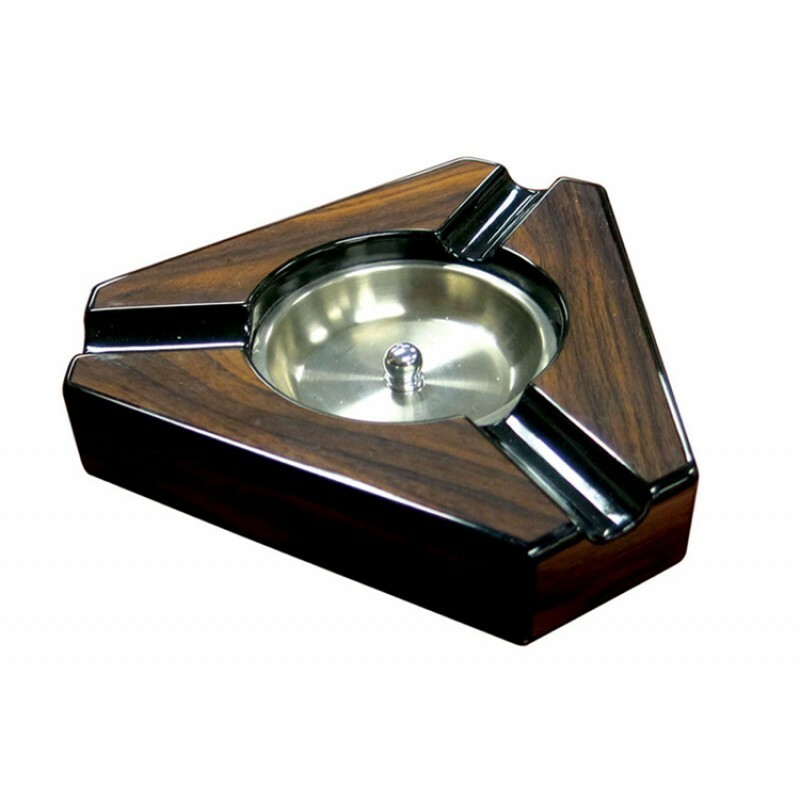 Features 3 grooved cigar beds and a stainless steel ash reservoir which can be easily removed to discard ash, buts and debris. 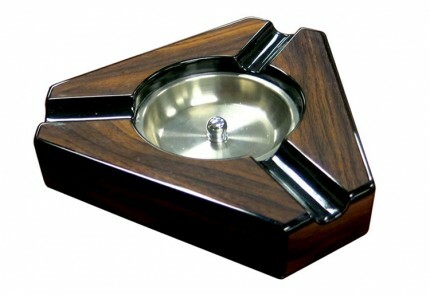 An impressive and rich looking ash tray at a great price!